While there are many options for water tests on the market, only a professional home water test can accurately identify any impurities that might be found in the water in your Fredericksburg, Virginia, home. Oftentimes, impurities such as chlorine and fluoride, and other elements like sulfur and iron, pose no harm to your health, but they can all contribute to making your home’s water quality less than ideal. Certain impurities, all of which can be detected by RainSoft’s complimentary home water test, can cause unwelcome woes such as “rotten egg”-smelling water, low water pressure, stained kitchen and bathroom fixtures, and clothes that are left feeling rough and looking scraggly rather than clean and soft after washing and drying. Luckily, these are all issues that can be solved by our premium home water solutions. 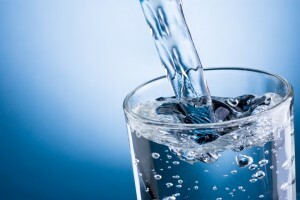 Drinking water systems – If your home water test reveals impurities that cause your water to have an objectionable odor or a metallic taste, one of our drinking water systems is the best solution for you. Once we install one of our systems underneath your kitchen sink, you will never have to buy bottled water again. Whole-house water filters – These systems combat specific water issues such as high concentrations of chlorine, iron, or sulfur. If these impurities or others are found in our water test, we can recommend one of our problem-solving water filters to put your home’s water in tip-top shape. Water softeners – A RainSoft water softener does just that – it softens your water by exchanging hardness ions, such as calcium and magnesium, with potassium or sodium for soft, conditioned water. With one of our conditioning systems, your water will leave your skin and hair feeling soft, clean, and residue-free, as well as virtually eliminate soap-scum buildup in your sinks, bathtubs, and showers. To learn more about our residential water systems and to schedule an appointment for a complimentary home water test for your residence in Fredericksburg, VA, contact RainSoft today.